Tip: This item can be used on both analogue and digital OO gauge train sets/railway layouts. Any problems?. Supplier text and images used with UK distributor's permission where appropriate. Get In Touch. Get Social. Important Information. WORKING ORDER: N/A. Hornby Trains Sets. Sylvanian Familes. Tamiya RC Cars. Sylvanian Families. Plastic Model Kits. Scalextric Cars. Scalextric Sets & Layouts. ALL UNOPENED. ALSO, IF A BOX IS INCLUDED IT WILL BE SHOWN IN PHOTO. These fishplates are not suitable for children under 14 years. Doubleho Model Railways. Like this. WE WILL DO ALL WE CAN TO HELP RESOLVE ANY PROBLEMS. OPPORTUNITY TO RESOLVE ANY ISSUES. 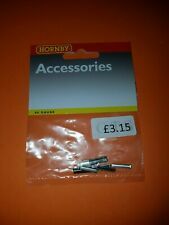 Hornby Spares and Scalextric Spares We also have a wide range of Scalextric spares and Hornby Spares so if your can;t find it then send us a quick note. Hornby R910 Fishplates. Part Number: R910. Scale / Type: OO Scale. Add to favourites. We will always help you to have a 100% positive happy buying experience. Deluxe Materials AD57 Roket Card Glue. Deluxe Materials AD25 Scatter-Grip Tacky Glue. 80 thou (.080") 2.0mm thick clear plastic card. Expo 73545 No.234 Razor Saw Blade (fits X-acto). HORNBY R 602 POWER CLIP + R 910 FISH PLATES X 12. HORNBY R 602 POWER CLIP and R 910 FISH PLATES. WAVE SWITCH X 2. MISSING THE GREEN LIGHT COVER. IN WORKING ORDER. Not suitable for children under 3 years. Handle with care. For model trains and railway suitable for children under 36 months. If there's a problem, just let us know and we will fix it. For model trains and railway sets. 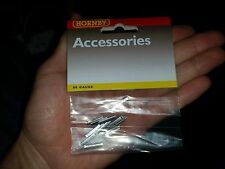 Hornby R910 Fishplates 3 Packs. Condition is New. Dispatched with Royal Mail 2nd Class. For model trains and railway sets. Not suitable for children under 3 years. Handle with care. 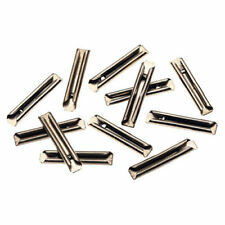 Hornby R910 Fishplates/rail joiners x 12 fishplates-rail-joiners-x-12. Hornby R8014 Mark 2 Point Motor. Should these circumstances arise, we will notify you. © Hattons Model Railways. Buy now and save! Not suitable for children under 3 years. Handle with care. For model trains and railway sets. For model trains and railway sets. Not suitable for children under 3 years. Not suitable for children under 36 months. Not suitable for children under 3 years. Handle with care. For model trains and railway sets. Item model number: R910. Date First Available: 28 July 2006. Number of Puzzle Pieces: 1. Why Buy From BirdOnAWire?. Not suitable for children under 3 years. Handle with care. For model trains and railway sets. We will only use this information for the purpose of fulfilling the order. Your data will not be used for any marketing purposes or exploited in any way. Not suitable for children under 3 years. Handle with care. For model trains and railway sets. For model trains and railway sets. Not suitable for children under 36 months. Not suitable for children under 3 years. If there's a problem, just let us know and we fix it. Not suitable for children under 3 years. Huge Range. In the event of a cancellation, we urge you to cancel your order as soon as possible, we would suggest within 1-2 hours, because it is likely that we can then retrieve the item before it is despatched. For model trains and railway sets. We stand behind our products. Receive it within 24 hours from order! 100% Support! In case of any problem we will help. 100% Positive. 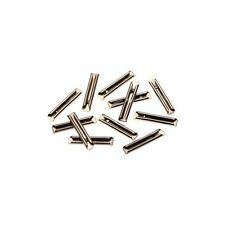 Hornby - Pack of 12 R910 Fishplates . Not suitable for children under 3 years. Handle with care. For model trains and railway sets. We are only happy if you are happy. Need help?. Why buy from us?. 5 out of 5 stars - Hornby - Pack of 12 R910 Fishplates . 47 product ratings47 product ratings - Hornby - Pack of 12 R910 Fishplates .